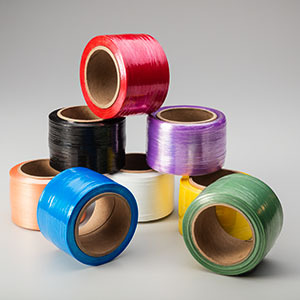 Stretchtape’s pre-stretched film offers an innovative solution to wrap pallets more economically and provide greater load-stabilization than conventional stretchfilm products. When applied, its unique memory properties tightly secures itself around the pallet resulting in a more secure pallet load. You can achieve these results while using less energy when applying this film. That’s because this film is much lighter in gauge and requires less effort to apply than traditional stretchfilm. 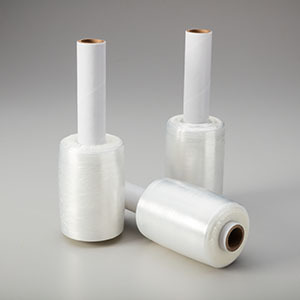 The effort necessary for wrapping is so low, individuals can easily pull the film walking forward, avoiding potential workplace accidents that are commonplace when wrapping pallets and walking backwards. Simply walk the length of the pallet while easily applying the film and “tug” the film tighter as you turn each corner of the pallet. This will maximize the performance of the film. 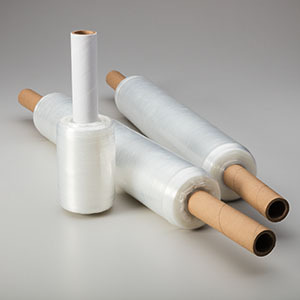 Our pre-stretched film offers numerous benefits. 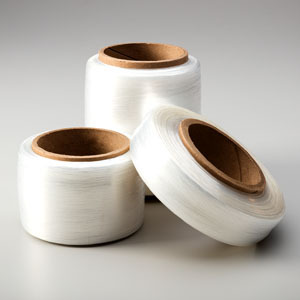 Its strength and reliability is equal to or greater then regular banding film, yet it is significantly thinner in gauge and lighter in weight. 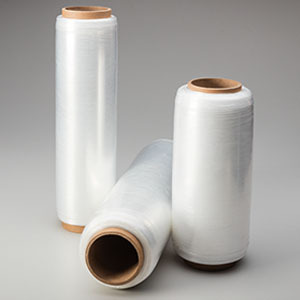 This results in using less film, making it more environmentally friendly and cost-effective than other conventional wrapping methods. Its lightweight benefit enables individuals to use less effort when wrapping pallets for extended periods of time. 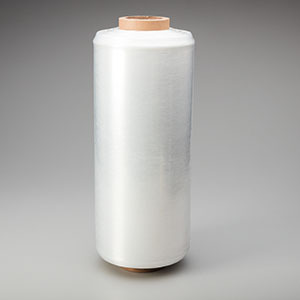 Pre-stretched film is most often used by traditional stretchfilm users, distribution warehouses, and customers looking to wrap pallets in a more-cost-effective manner. Certain sizes available in regular and/or XXL strengths. Available colors for pre-stretched film include: black, blue, green, orange, red, yellow, and white.